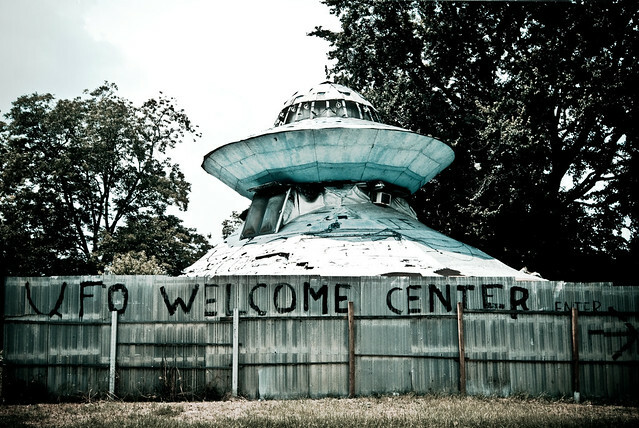 “Welcome to Planet Earth” by Michael Livingston is a short documentary about South Carolina eccentric Jody Pendarvis and the UFO Welcome Center he built in his backyard. Pendarvis began construction of the ramshackle flying saucer-shaped structure in 1994. The center is equipped with an air mattress, mission control room, and quite a few cats.